For online retailers, nothing is more important than customer interaction, it can make or break a sale. Build brand loyalty with fast response time and customer service efficiency. Ecommerce customer service comes from a variety of different support channels. Live chat, Facebook Messenger, Instagram, Gmail, and other social media channels are used by customers to get support from an online retailer. If you’re a bigger online store, chances are you will get upwards of a few hundred requests in a day, and many of them will be redundant. Keeping up with all those requests can be difficult without automation or a customer service strategy, and a slow response time is a primary contributor to bad customer service. If you want to foster brand loyalty, you will need to increase customer interaction, efficiency, and lower response time for your Ecommerce customer service. Gorgias is an online retailer’s best friend when it comes to providing high-quality Shopify customer service. 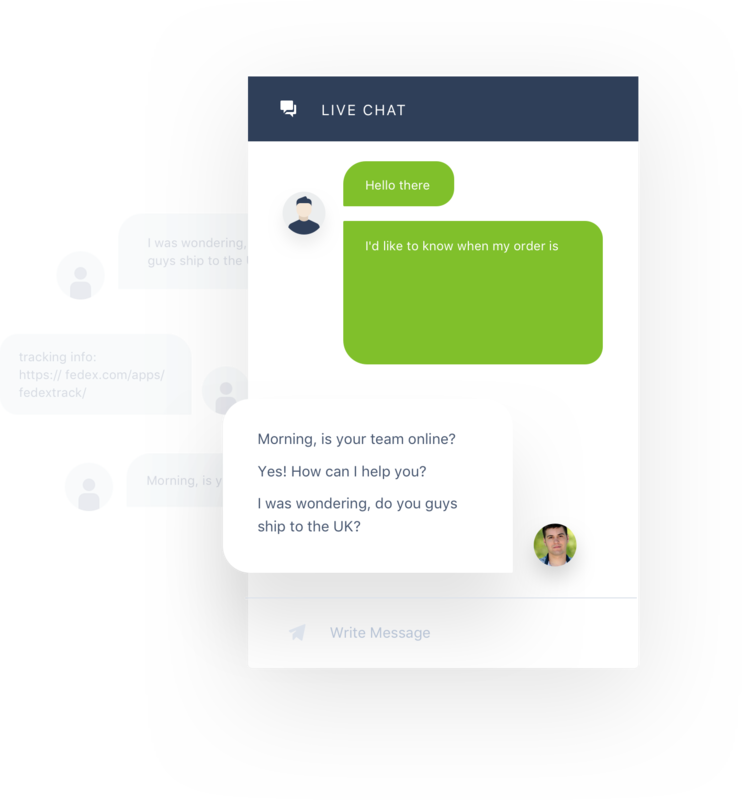 Rather than requiring you and your agents to switch between various tabs for Live chat, Facebook Messenger, Instagram, Gmail, and more, Gorgias will integrate all these channels into a single help desk app. 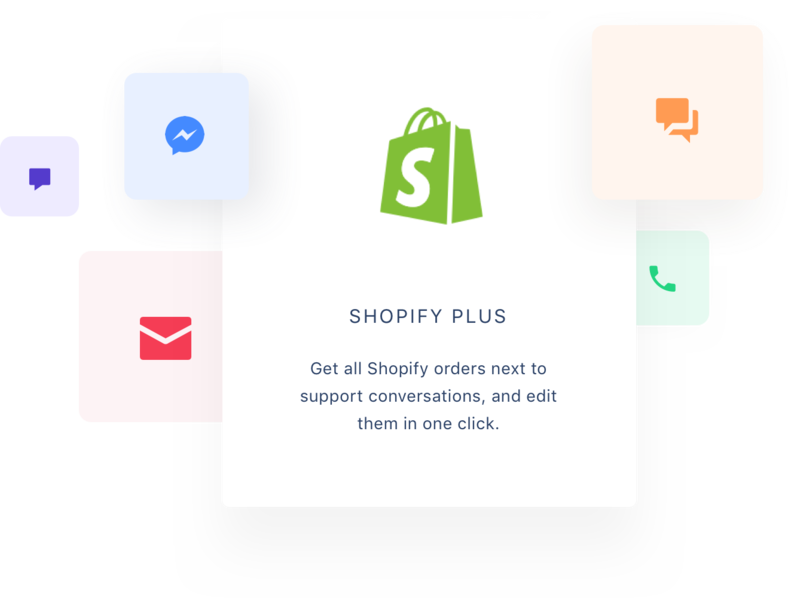 Your reps can stick to a single page with a wealth of customer information that has been collected from your Shopify back-office apps based on their order history and conversation history. They can use this information to provide better support for the individual customer, offering a level of personalized service. For example your agents can provide a discount code to returning customers or to those who have given positive customer reviews through Yotpo, or have a high number of loyalty points on LoyatlyLion. 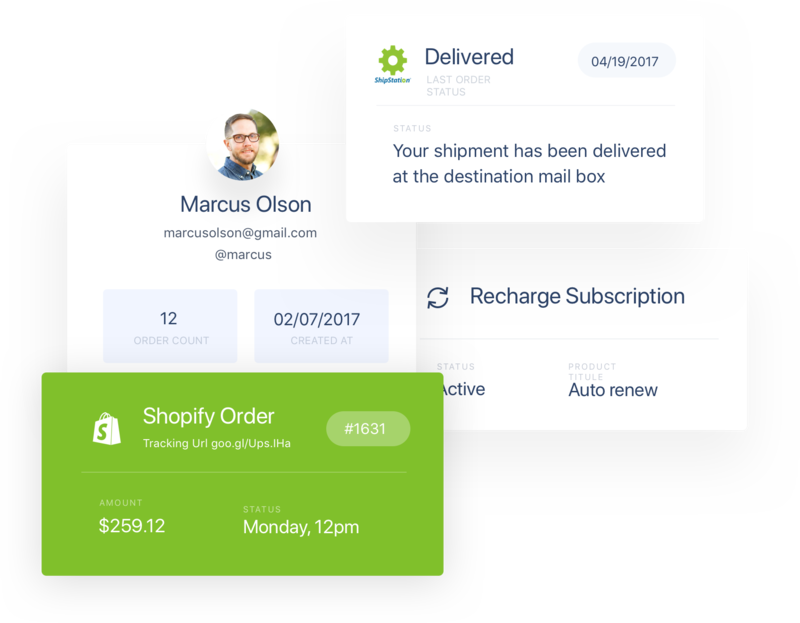 This improves customer interaction, improves your response time, and allows you to offer better Shopify customer service to increase brand loyalty with your customers. Where Gorgias can truly revolutionize your customer service comes from automation. From the help desk, you can setup auto responder rules to save your agents time and improve efficiency by answering FAQs automatically. Rather than answering “how do I use a discount code” 100 times, you can setup a rule to send instructions automatically without needing to answer the chat yourself. This allows you to provide order status updates, provide shipping information, and more instantly. 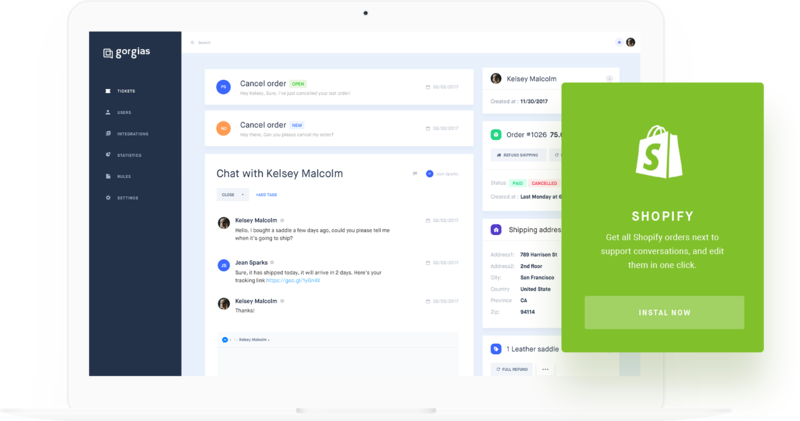 It also includes the customer’s information, including order history and conversation history to improve your help desk response time and Ecommerce customer service efficiency. With Gorgias, you will no longer have to worry about bad customer service hurting your business. Between its ability to lower your response time with automation and its organizational capabilities, there is no reason for a customer to ever have a bad experience at your Shopify store. This help desk also allows you to save money on customer service, as you will be able to handle more customers per agent. Gorgias is your one-stop-shop for great Shopify customer service.